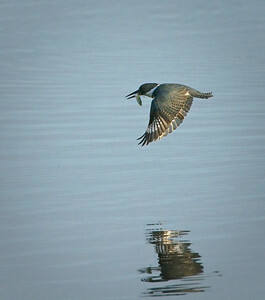 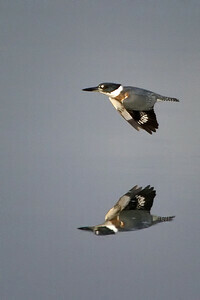 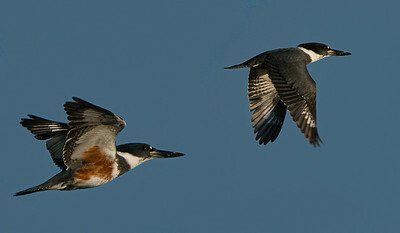 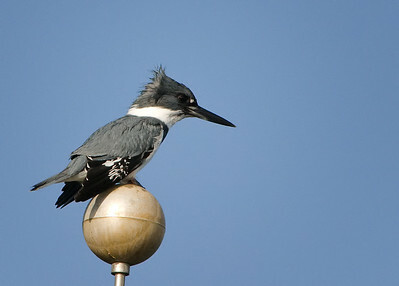 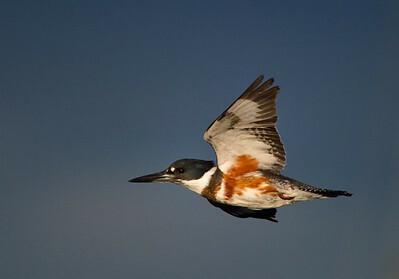 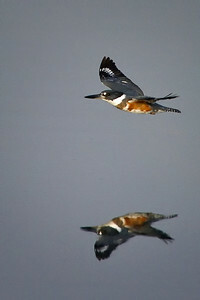 Female Belted Kingfisher: This not a Photoshop trick. 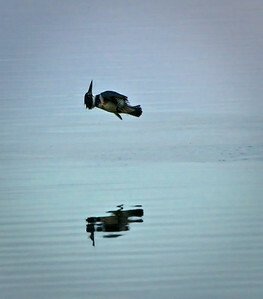 The bird can rotate its head freely, and is probably doing a quick, mid-air check of a potential threat. 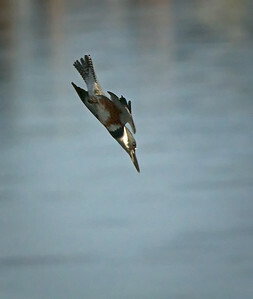 The shutter speed of 1/1600th of a second caught the action.